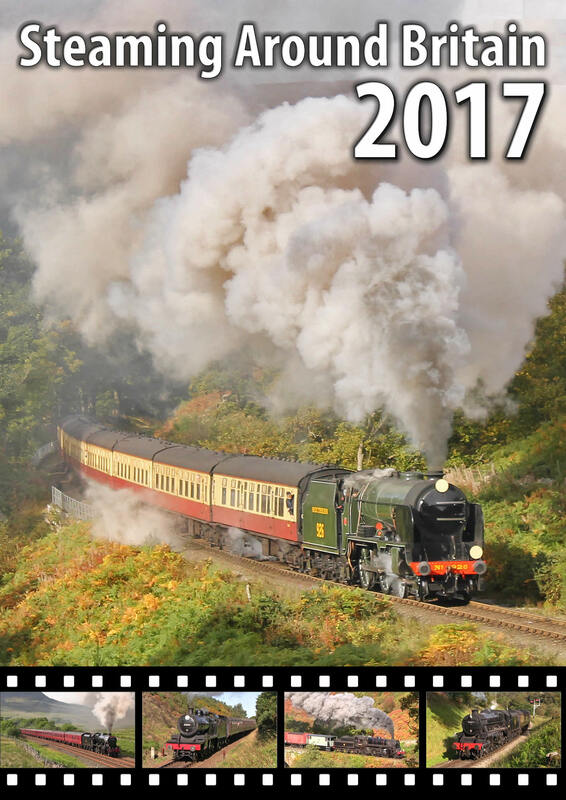 Steaming Around Britain's Railways 2018 Blu-Ray features a whopping four discs of top quality action from around the UK. Throughout the four discs, witness a varied collection of steam engines working at both preserved railways and on the mainline. Sit back and enjoy all the highlights from throughout 2018, from the little tank engines to the large pacific's slogging their hearts out as they haul a whole collection of different trains at different locations around the UK. Whether you're a mainline, preserved or narrow gauge enthusiast this four disc Blu-Ray has something for everyone. With footage featured from the Scottish Highlands through to the Snowdonian National Park, what more would you need to recall 2018? 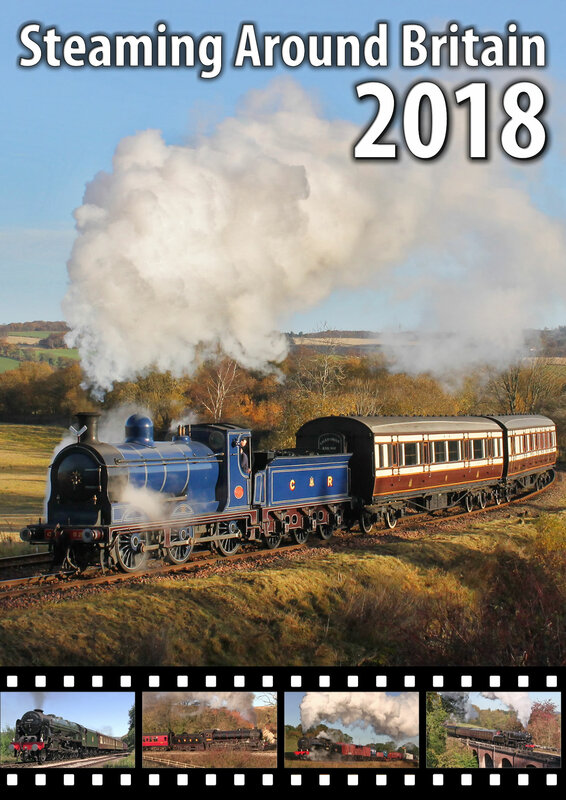 A collection of photo charters are featured during the Blu-Ray including the North Yorkshire Moors Railway, Foxfield Railway, Threlkeld Quarry Railway, East Lancashire Railway and Bo'ness & Kinneil Railway. Along with this varied collection of preserved railways, a selection of mainline charters are included throughout the four disc Blu-Ray set from around the UK. Some of the charters featured throughout the collection include the 1T57 50th anniversary of mainline steam charters, 'The Jacobite', 'The Waverley', 'The Dalesman', 'The Fellsman', 'The Winter Cumbrian Mountain Express,', 'The Yorkshireman', 'The Pennine Limited', 'The Coast to Coast Express', 'The Talisman', 'The Cumbrian Mountain Express', 'The Scarborough Spa Express' plus others too. - Many mainline charters are included from a selection of different locations around the UK including Shap, the Settle & Carlisle Railway, The West Highland Extension, Copy Pit plus many others too. Many mainline engines are featured including: 45690 'Leander', 45699 'Galatea', 45157 'The Glasgow Highlander', 60163 'Tornado', 60103 'Flying Scotsman', 35018 'British India Line', 60009 'Union Of South Africa', 70013 'Oliver Cromwell', 48151 plus many others too. - Several photo charters are featured from several railways including the North Yorkshire Moors Railway, Foxfield Railway, Threlkeld Quarry Railway, East Lancashire Railway and Bo'ness & Kinneil Railway. 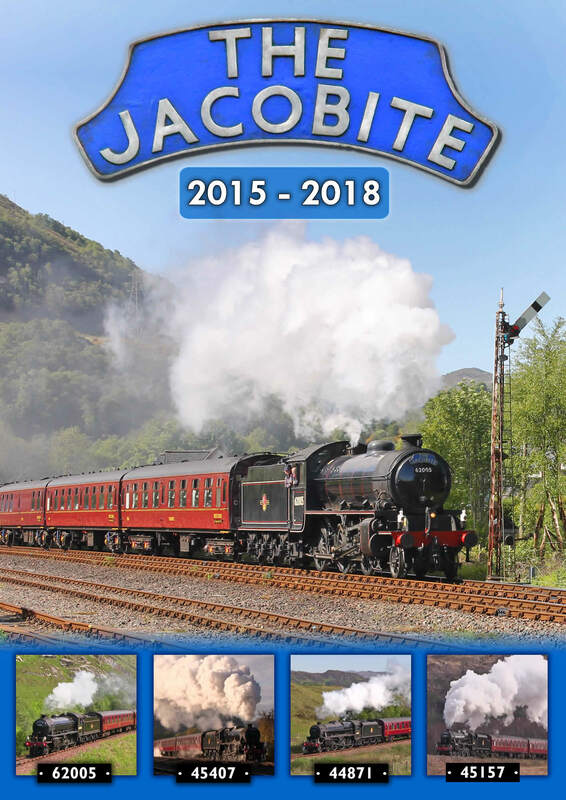 - The award winning 'Jacobite' service is featured from Easter 2018. Running from Fort William to Mallaig on a crisp, late-winter's day complete with snow topped mountains, LMS 5MT No.45407 is seen disguised as class mate 5MT 45157 'The Glasgow Highlander'. 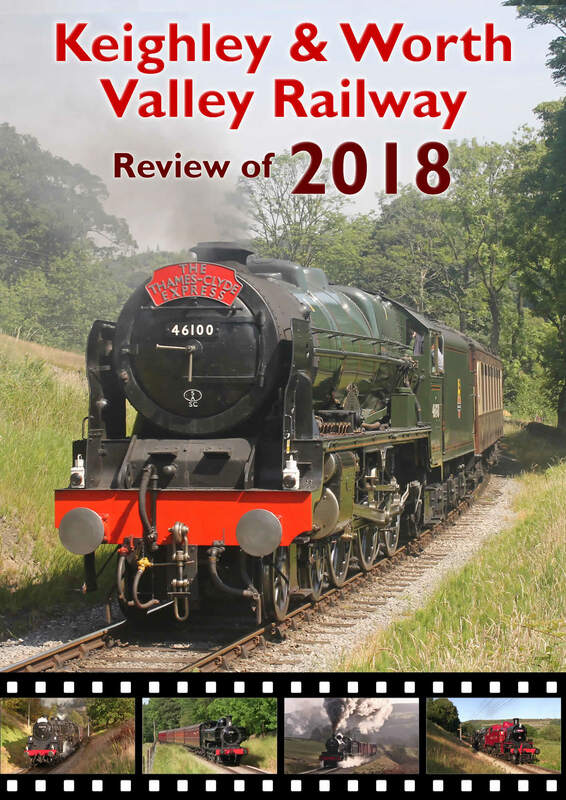 - 2018 marked the 50th Anniversary of the Keighley & Valley Railway, to celebrate the occasion a special 8-day gala was held showcasing the last 50 years of the KWVR. The event featured several visiting engines including LMS 7P No.46100 'Royal Scot', SR WC No.34092 'City Of Wells' and GWR No.7714. - The 11th August 2018 marked the 50th Anniversary since the final steam hauled passenger service was run on the national network, to celebrate the occasion three separate charter services were organised which all ran over the Settle & Carlisle Railway. The Great Central Railway also held a commemorative gala featuring star loco BR 7MT No.70013 'Oliver Cromwell'. - Throughout the four discs a wide collection of events are featured from many different preserved railways including special freight demonstration services, vintage services, express services plus much more. The Blu-Ray is split across four discs for maximum quality and lasts approx. 302 minutes. The Blu-Ray is available in 16:9 widescreen format only. Copies of the Blu-Ray are available for £25.99 which includes free postage and packaging. Below is a short trailer with some clips taken from the Blu-Ray, please note due to upload restrictions the quality of the trailer may not reflect that of the Blu-Ray.